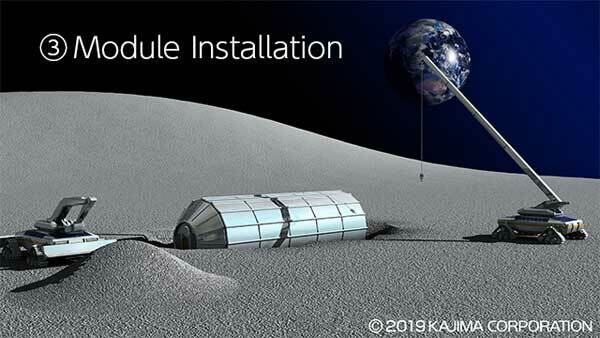 The project got started in 2016 with the participation of schools; Shibaura Institute of Technology, The University of Electro-Communications and Kyoto University. 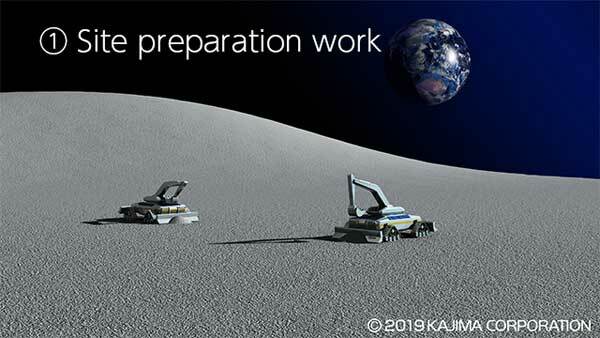 With application in view to remotely controlled construction of a lunar base, the experiment conducted at the Kajima Seisho Experiment Site, Odawara, Kanagawa, of two kinds of the automated construction functionality has produced some results. 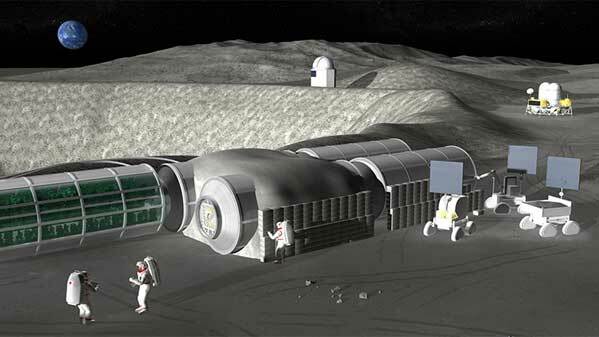 Remote control is a feasible method to build a human base off of Earth, on the moon and Mars in the future. 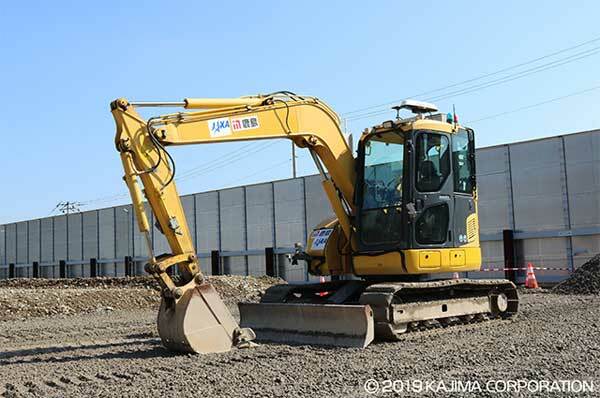 Compensation of the considerable delay caused by sending any command to construction machinery from Earth has been an issue, however, along with others such as productivity and efficiency. 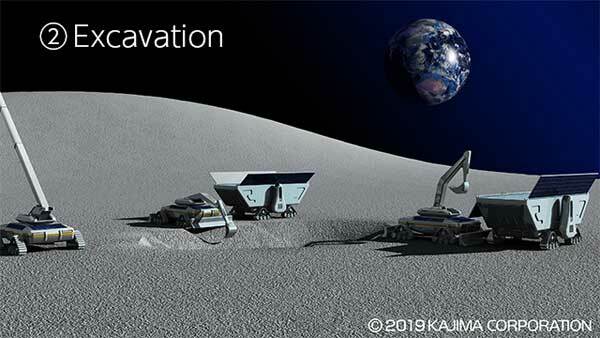 On Earth, too, the same technologies are in need to deal with a predicted shortage of adept human resources in the construction industry, which has conventionally been human labor oriented. 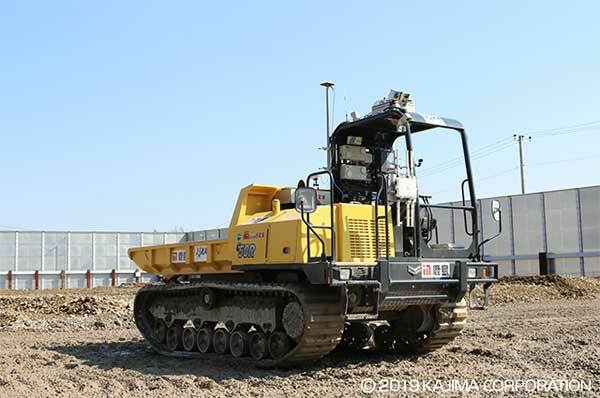 Since 2015, A4CSEL, developed by Kajima Corporation to automate construction machinery has been on site. 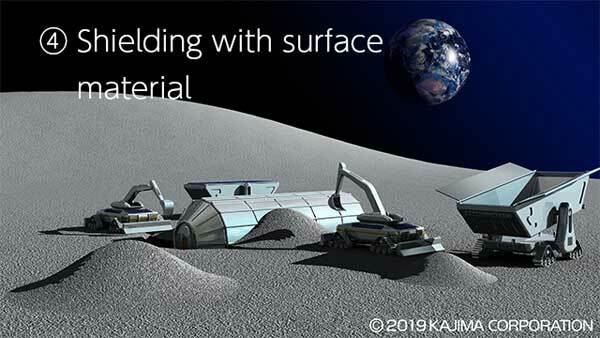 The research took off by the parties of five – JAXA, Kajima Corporation and three schools as technologies of A4CSEL can be used to realize the remote construction functionality in space by coordination of remote and automatic control. That research also sparks the military imagination. The potential applications towards combat engineering vehicles is obvious. One thing missing is a Space based power system before even landing. This way, we can get power ( & comm, GPS, etc ) to a site before firstflanding. 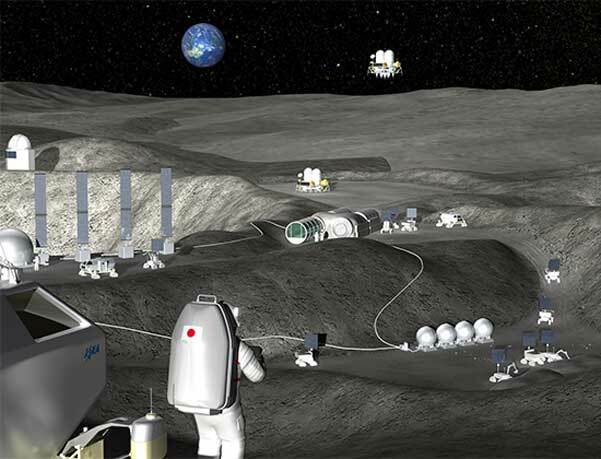 Ideally, we would have 3-4 10 MW systems sent to the moon and later to Mars. To start this, we could put several in orbit here. It is not useful for normal electricity, but it is ideal for military and disaster areas. iirc, US DoD paid over $200/gal ( and more than a few lives) for diesel to get to some of our FOB. That makes electricity quite expensive.